Reliance Defence issued a statement saying that the “proposed MoU” mentioned in a purported email cited by Congress chief was a reference to its cooperation with Airbus Helicopter and not with the Rafale jet deal. Soon after Congress president Rahul Gandhi accused the Prime Minister Narendra Modi of “treason” and said he acted as the “middleman” Anil Ambani, Reliance Defence issued a statement saying that the “proposed MoU” mentioned in a purported email cited by Congress chief was a reference to its cooperation with Airbus Helicopter and not with the Rafale jet deal. “The discussion on proposed MoU was clearly with reference to cooperation between Airbus Helicopter and Reliance. It had no connection whatsoever with Government to Government Agreement between France and India for 36 Rafale aircraft,” a spokesperson for Reliance Defence said. The company also slammed Gandhi’s claim that the email showed Ambani visited then French defence minister Jean-Yves Le Drian’s office and mentioned an “MoU in preparation and the intention to sign during the PM visit (to France)”. “Also, for the record, the MoU for Rafale aircraft was signed between France and India on January 25 2016 and not in April 2015. From the above, it is evident that the facts are being deliberately twisted and reality being ignored,” the company said. The company clarified that the “purported email being referred by the Congress Party is regarding the discussion between Airbus and Reliance Defence regarding Civil & Defence Helicopter Programs under ‘Make in India'”. The spokesperson added that the information that Airbus Helicopter has partnered with Mahindra for the Military Helicopter Programme is in public domain. 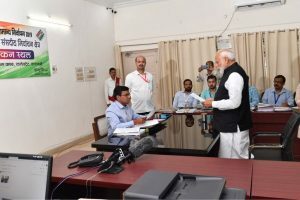 Earlier on Tuesday, Gandhi accused Prime Minister Narendra Modi of compromising on national security. “An email has come into light that states ‘A. Ambani visited the Minister’s office… Mentioned MoU in preparation and intention to sign during PM visit’. How is Anil Ambani meeting the French Defence Minister prior to PM’s visit?” Gandhi said while showing a copy of an email to media persons. According to reports, the email dated 28 March 2015 was purportedly written by Airbus executive Nicolas Chamussy to three recipients with the subject line “Ambani”. 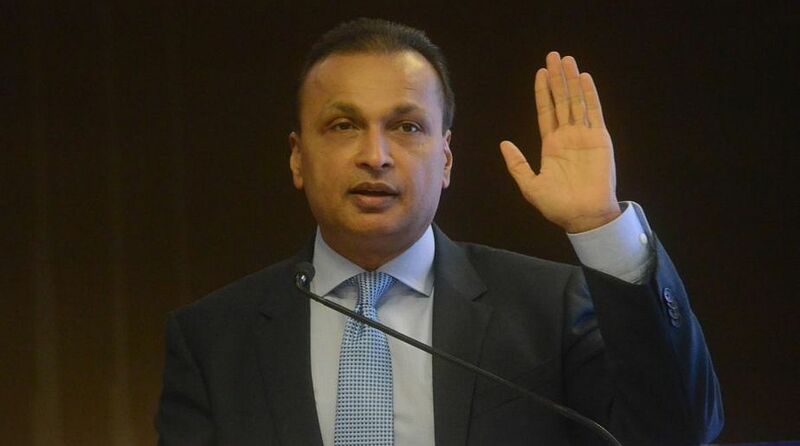 According to a report published by The Indian Express on Tuesday, Anil Ambani visited then French Defence Minister Jean-Yves Le Drian’s office in Paris and had a meeting with his top advisers in March 2015.